January 22, 2014 (San Diego) – California State Assemblywoman Lorena Gonzalez (D-San Diego) this week announced she has introduced legislation to guarantee workers in California at least three days of paid sick leave annually. February 18, 2013 (Washington D.C.) –“Everyone has a teacher from their past who inspired them. 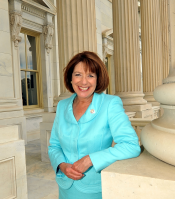 Teachers play a significant role in a student’s development and as our nation’s builders, which is why it is so important to give teachers the opportunities to grow as educators,” a press release from Congresswoman Susan Davis (D-San Diego) states. However, many school districts lack a method for giving teachers and principals the developmental feedback to help them reach their ultimate professional potential. Davis, along with Rep. Jared Polis (D-CO) has introduced legislation that they believe will give teachers the feedback and the support they deserve. September 8, 2012 (San Diego) -- Sen. Christine Kehoe (D-San Diego) announced yesterday that Governor Jerry Brown has signed her bill to allow the City of San Diego to convert up to approximately 10,000 acres of city-owned “designated” open space to “dedicated” open space. April 13, 2012 (Sacramento) -- The California College Democrats fully support SB1052 and SB1053, which are being brought before the California State Senate Education Committee. The bills would significantly increase the affordability of textbooks. The legislation would allow undergraduate students at all places of public higher education in California to have free access to 50 core textbooks. These materials, mostly used for lower-division coursework, can be accessed free of charge on the web, with the option of a printed version for around $20. March 16, 2012 (Santee) -- Assemblyman Brian Jones (R-Santee) joined with his Republican colleagues in support of Assembly Bill 1506, legislation that will repeal the unconstitutional fire tax.